16 November 2018 (Toronto, ON) - Today, Vicky Cornell, through the Chris Cornell Estate, unveiled the music video for “When Bad Does Good”, a previously-unreleased song that appears on the self-titled album, Chris Cornell also released today. 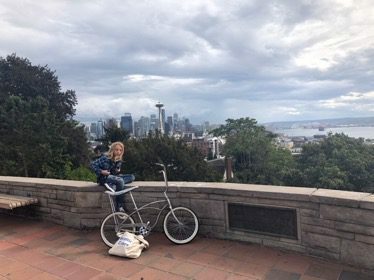 Shot this fall, the video features Chris and Vicky Cornell’s son Christopher playing a young Chris Cornell as a paper boy in Seattle, representing who Chris was and where he came from and paying tribute to his hometown of Seattle. Song lyrics from Cornell’s illustrious career are hidden throughout showcasing the breadth of his songwriting as a poet and lyricist. The video features mementos and places that played a part in Chris’s life and was directed by Kevin Kerslake (Soundgarden’s “Loud Love” & “Hands All Over”). Watch the official music video for “When Bad Does Good” HERE. “For me this video represents my dad and all the art he created throughout his life and what his music meant then and what it means now, not just to me and my family but the city of Seattle and all of his fans,” said Christopher Cornell. “I wanted to highlight an aspect of Chris’s talents often overshadowed by his more obvious virtues (e.g., his monstrous guitar chops, operatic vocal range or commanding physical presence), which is his place as one of this generation’s greatest lyricists….but do it within a specific context that turned a simple, straightforward journey through the streets of Seattle into a eulogy, of sorts, with mystical undertones," said Kevin Kerslake. “When Bad Does Good” was produced, recorded, and mixed by Cornell and was found in his personal recordings archive. The track was a favourite of his and it wasn’t until friend Josh Brolin reminded Vicky of the unreleased song, that she decided to share it with his fans. A lyric video was released in September, watch HERE. Chris Cornell commemorates his life and legacy not only as a singer, but as a poet and one of the most prolific writers and greatest voices of the modern rock era. The 17-track and 64-track limited-edition deluxe box set (11 of them unreleased) are the first releases since his passing in 2017. 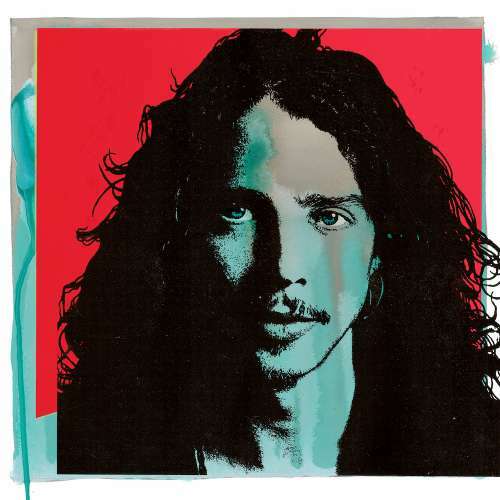 The album is released by Cornell’s wife, Vicky Cornell on behalf of The Chris Cornell Estate through Ume/Universal Music Canada, the country’s leading music company. Order Chris Cornell HERE. The breadth of all 17 selections on Chris Cornell display the full span of his artistic achievements, from the full-on kick of Soundgarden’s seminal “Black Hole Sun” to the mournful yearning of Temple of the Dog’s “Hunger Strike” to the sensitive depth of Audioslave’s “Like A Stone” to his spot-on solo theme to the 2006 James Bond film Casino Royale, “You Know My Name”. This collection also contains a pair of unreleased recordings: a touching cover of Prince’s “Nothing Compares 2 U” that was cut live at Sirius XM, and “When Bad Does Good”. See full track listing below. On Wednesday, January 16, 2019 Chris Cornell’s legacy and contribution to music history will be honoured with a star-studded concert event, I Am The Highway: A Tribute to Chris Cornell, at The Forum in Los Angeles. I Am The Highway: A Tribute to Chris Cornell will be an epic night of music, taking fans on an unforgettable journey through Chris’s legendary career and catalogue with performances by members of Soundgarden, Audioslave, Temple of the Dog, plus special performances by Foo Fighters, Metallica, Ryan Adams and more. The show is presented by Chris’s family and closest friends including Tom Morello, Brad Pitt, Josh and Kathryn Brolin, Jimmy Kimmel, Tom Hanks and Rita Wilson. Jimmy Kimmel is hosting the special night. Additionally, in honour of Seattle’s son, Museum of Pop Culture (MoPOP) in Seattle installed a listening station where visitors can listen to Chris Cornell in its entirety including the two unreleased tracks. Free with museum admission.